This article was originally published on August 6, 2018 and expired on September 7, 2018. It is provided here for archival purposes and may contain dated information. We all know that vegetables and fruit are healthy for us. However, is there a time when they’re healthy for our budget too? 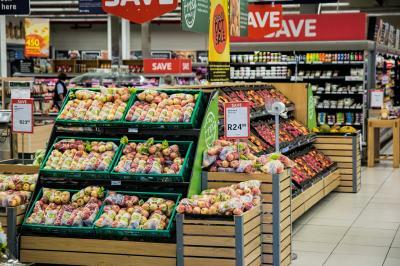 When produce is in season locally, it is much easier to find good buys. In addition, freshly picked fruits and vegetables have more flavor and you help boost our local economy by supporting local agriculture. Our local farmers’ markets have lots of fresh produce at this time of the year. You can talk to the people who grow the produce and learn more about their produce, and how to prepare it. We are lucky to have many farmers’ markets in our area including Champaign (Tuesday late afternoon), Urbana (Saturday morning) and Danville (Saturday morning until 1:00 p.m.). Many farmers’ markets accept a LINK card for payment. In fact, in Urbana the market will match up $20 each week; you use $20 from your LINK card to buy market tokens and they will give you an additional $20 in tokens. The Champaign Farmers’ Market does this too, and the second Tuesday of each month is a triple match! Get up to $40 extra to spend on food. You can also use WIC vouchers and Senior Farmers’ Market coupons at many farmers’ markets. Would you like help stretching your dollars or reaching a different financial goal? Volunteers from University of Illinois Extension’s Money Mentors program are available for free, confidential meetings. To learn more, visit http://go.illinois.edu/moneymentors.